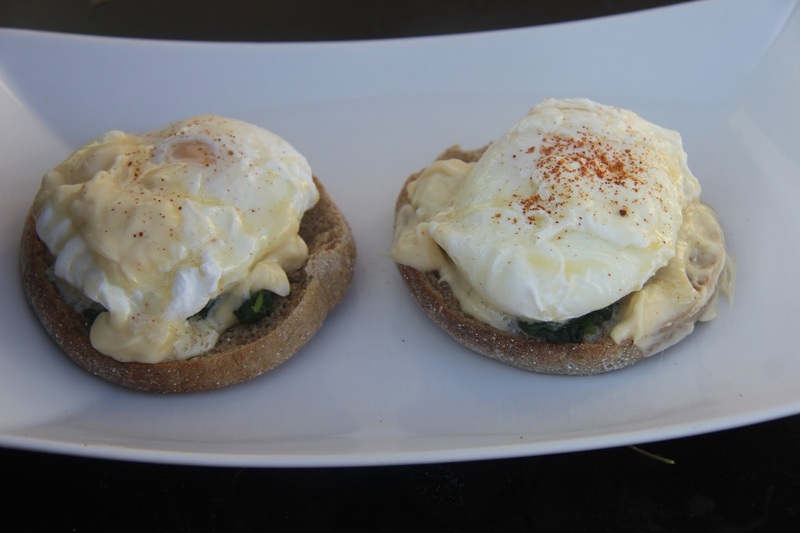 This is a breakfast dish where poached eggs are topped off over an english muffin and dressed with Hollandaise sauce.There are multiple variations of this dish, I am using spinach for “Eggs Florentine”, other versions use ham,mushrooms, salmon, bacon, avocado, chorizo, salsa etc. 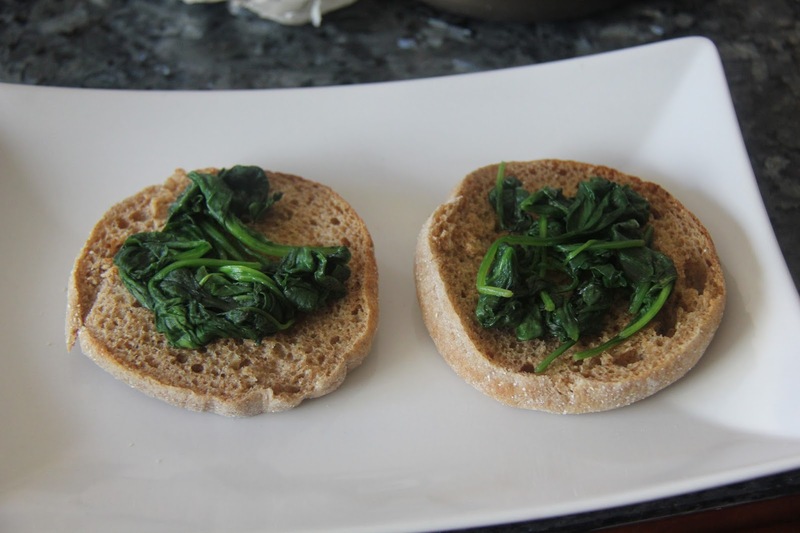 1.Place the muffin halves facing up on a plate.Place the spinach on top. 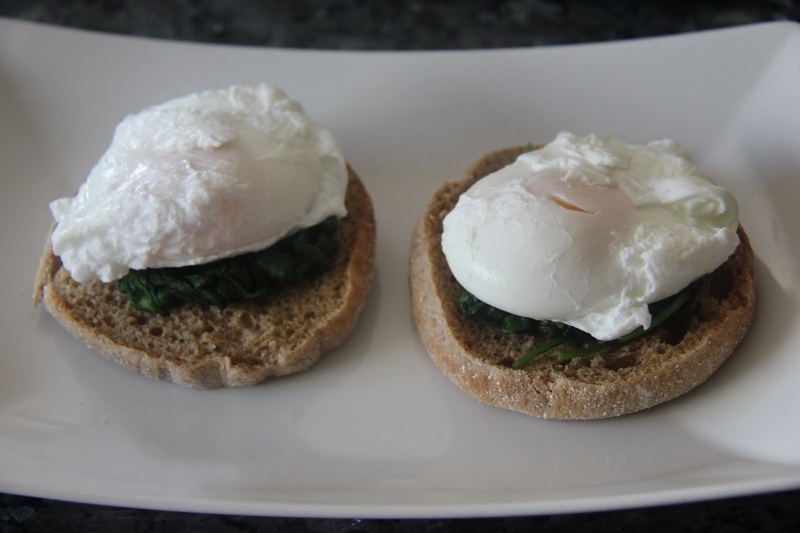 2.Now gently place the poached eggs on top followed by a dollop of hollandaise sauce.Season with salt and paprika. I just saute spinach in water, I didn’t want to add more fat on top of the hollandaise. 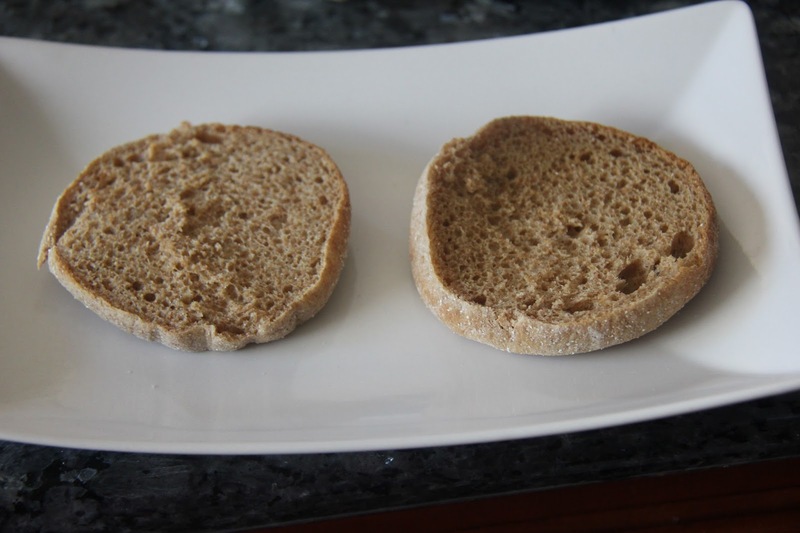 You can saute them in a teaspoon of oil or butter if you wish.